Happy Monday crafty friends! 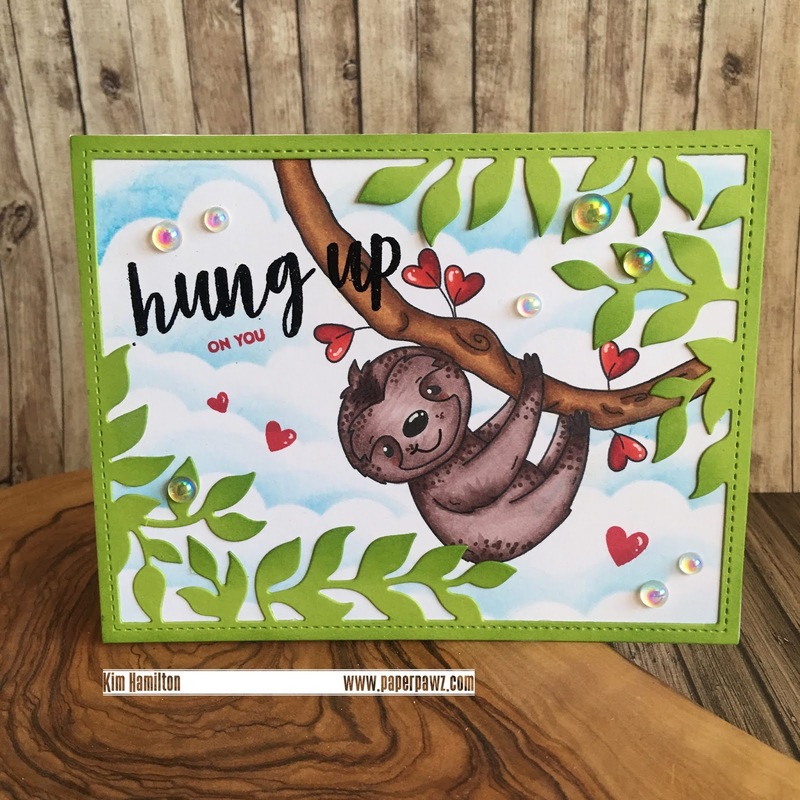 Stopping in to share this super fun Valentine's Day Sloth by Simon Says Stamp! 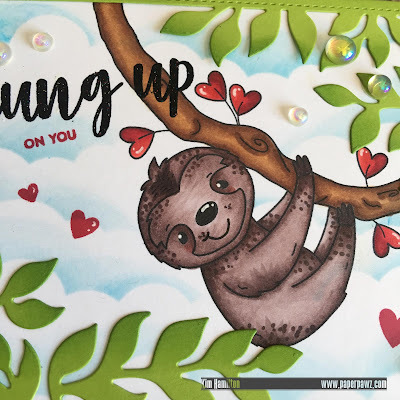 I LOVE this sloth so much, it was designed for the Simon Says Stamp Exclusive Valentine's Day Kit, which is sold out but you can by the stamp set regardless (linked below). I adore all of the critters in that fun set! This was a quick enough card to put together, I started by die-cutting my Sunny Studio Botanical Backdrop Die with some Lawn Fawn Cilantro cardstock. I did this first so that I could align my sloth in the right position. 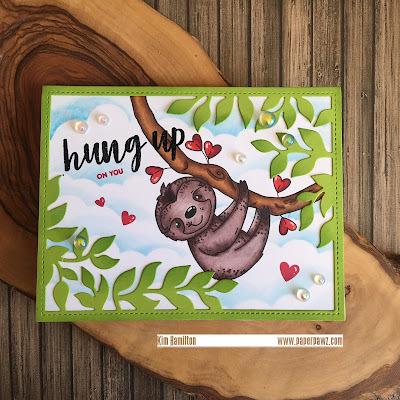 I stamped him using my stamp positioner and drew extending lines on the branch with a Copic friendly marker. I colored everything with my Copics and once that was done I took my MFT stencil Cloud and some Salty Ocean distress Ink and applied it to my background avoiding my colored areas. I aligned my foliage once more to be able to place my Hung Up sentiment and the smaller accompanying sentiment from the same stamp set. I added some stamped hearts with Lawn Fawn Lobster Ink and some Studio Katia Iridescent Bubbles and some white gel pen detail! Thanks for taking the time! All products are linked and listed below, affiliate links used at no extra cost to you!